For anyone who wants to know why the sports of boxing continues to lose money to mixed martial arts organizations such as the UFC, look no further than Oscar De La Hoya. After a successful career inside of the boxing ring for De La Hoya which included him winning titles at five different weight classes, he threw his hat into the promotional business in 2002. De La Hoys launched his Golden Boy Promotions in 2002 and he’s helped to negotiate some of the sports biggest contests which included his protege Canelo Alvarez facing Floyd Mayweather Jr. in September 2013. De La Hoya has also been at the center of controversy due to some of the outcomes of Alvarez’s fights with the most notable one coming last September when his contest with Gennady Golovkin was a ruled a draw in spite of the fact that most observers felt that Golovkin won the match. Immediately people called for a rematch as one was set to take place last month until Alvarez failed his drug test which resulted in the Nevada State Athletic Commission suspending him for six months. 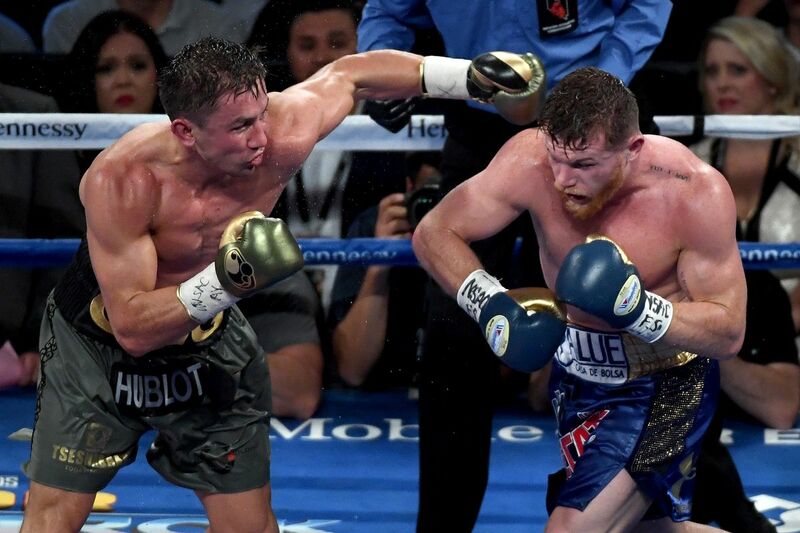 However even with all of that, representatives for both Alvarez and Golovkin sat down to negotiate a deal to have the two fighters climb into the ring together this September. But that deal would fall through due to the greed and lack of testicular fortitude of De La Hoya. After only receiving 30% of the purse from his first meeting with Alvarez, Golovkin was seeking a 50-50 split this time around. However Golden Boy was only willing to offer Golovkin 35% of the purse for a rematch, and after Golovkin balked at that share, De La Hoya had the notion to call the undefeated Middleweight Champion “stubborn”. But let’s not dance around the floor on this topic as De La Hoya is scared to death of Golovkin, and he will do everything in his power to protect Alvarez. During the fight last September, Alvarez unloaded with some tremendous shots to the face of Golovkin, but he could not drop him. And when Golovkin kept coming forward, Alvarez had a stunned look of disbelief on his kisser. Golovkin would also unleash on Alvarez during the fight, and for the most part he dictated the pace of the contest. This is something that is still fresh in the mind of De La Hoya who does not want Alvarez to take another loss after he fell to Mayweather five years ago. So once again De La Hoya is taking the cowards way out because if it was truly about Alvarez and Golovkin deciding who the king of the Middleweight Division is, the first contest would have happened two or three years ago. But De La Hoya continued to put the fight off in the hopes that Golovkin who is now 36-years of age would begin to slow down physically. De La Hoya and Golden Boy purposely low-balled Golovkin in the negotiations for a rematch because he knows that Alvarez cannot defeat Triple G; especially since he is now the subject of more scrutinized drug testing. De La Hoya knew that a fighter of Golovkin’s stature would not agree to take 35% of a purse when he is bringing as much talent and excitement to the table as his opponent. So instead of the rematch that boxing needs, we will see Golovkin clash with Billy Joe Saunders this August, while Alvarez will meet Danny Jacobs this September. Golovkin should be able to get past Saunders, remain undefeated, and keep his three Middleweight Titles, while Alvarez will take on a fighter who will be okay with taking less money. De La Hoya believes that he can promote Alvarez’s fight on pay-per-view with Jacobs due to the fact that Jacobs went the distance with Golovkin in the spring of 2017. However Jacobs’ fight with Maciej Sulecki of Poland this past April was closer than most people expected. And if that Jacobs gets into the ring with Alvarez in September, it could be a short night in Vegas for him. Rightfully so Golovkin wants nothing to do with Alvarez or De La Hoya as Golden Boy Promotions is all about playing games. De La Hoya is out to do nothing more than make suckers out of people and continue to sully the reputation of boxing. When you look at UFC, only one man calls the shots and that is the company’s president Dana White. White is the one voice of UFC as it is his way, or the highway. There aren’t any other promoters involved, and the top fighters at each weight class take on each other; no questions asked. For decades boxing has had a problem with promoters who dictate and manipulate what happens in the ring as Vince McMahon and the World Wrestling Entertainment are obviously not the only ones who predetermine the final outcome of matches. 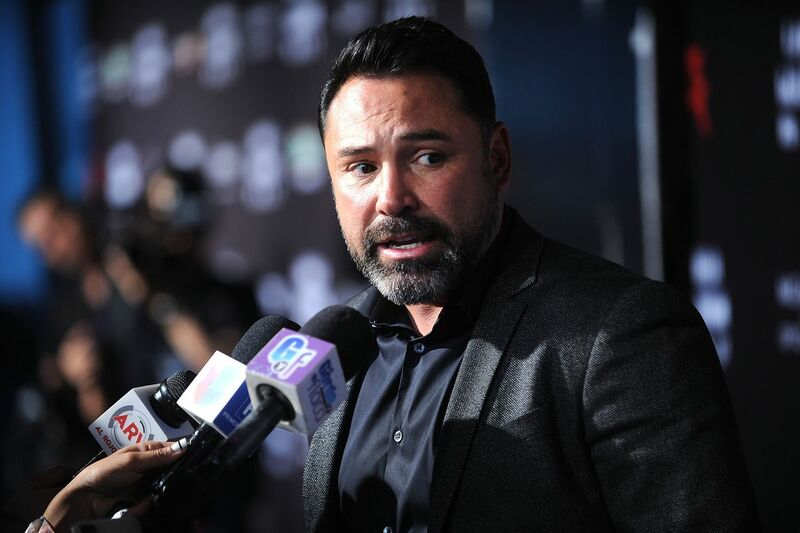 And after De La Hoya was the victim of that throughout his career with controversial losses to Shane Mosley and Mayweather Jr., he has not tried to fix the problem, but only make it worse. De La Hoya is all about exploitation as he wants to prop Alvarez up as a hero to the Mexican community in order to make money. But Alvarez is not as good as De La Hoya wants you to think that he is being that he looks average at best versus the top fighters; especially those who know how to box, and are not solely focused on brawling which was the case when he stepped into the ring with Golovkin. De La Hoya had an opportunity to make things right for the sport of boxing by giving the fans that fights that they wanted, but he cannot do that because greed and his ego have clouded his better judgement. Now we may never know who was truly the top middleweight of this era and that falls into the lap of the money hungry De La Hoya; but it won’t matter to him as he is already thinking of a new way to make suckers of the general public by continuing to put Alvarez in predictable fights for the sole purpose of selling tickets.